When she’s not busy running the biggest luxury fashion e-commerce site in the world, Net-a-Porter and Mr Porter president Alison Loehnis finds time to return home to New York and revisit her childhood escape in the Hamptons. But as an expat in London, Loehnis is just a short plane ride away from the chicest destinations on the planet. She fills us in on her summer getaways from the East End to luxe Italian seaside retreats and beyond. Where did you spend your summers growing up? Wainscott and East Hampton. It was still a destination and a place people gravitated to for its natural beauty and the beaches, but it was a lot less developed. We would go there year round. I have memories of being in the East Hampton movie theater in December when there were only three people there. So it’s really changed a lot. As a kid, my favorite thing ever was The Penny Candy store in Water Mill—it closed down years ago, but the sign was still up as of last summer. My secret dream was to actually buy the sign from the landlord, so maybe it’s still there. But overall, my memories were always about the beaches, in Wainscott and more recently, Georgica Beach in East Hampton, and the farmstands. Do you make it back often? it’s such a specific part of the world that you can’t really find anywhere else. What did your British husband think of the Hamptons on his first visit? Where do you love to go when you aren’t coming back home? One of the great things about London is that you can get to so many places so quickly. 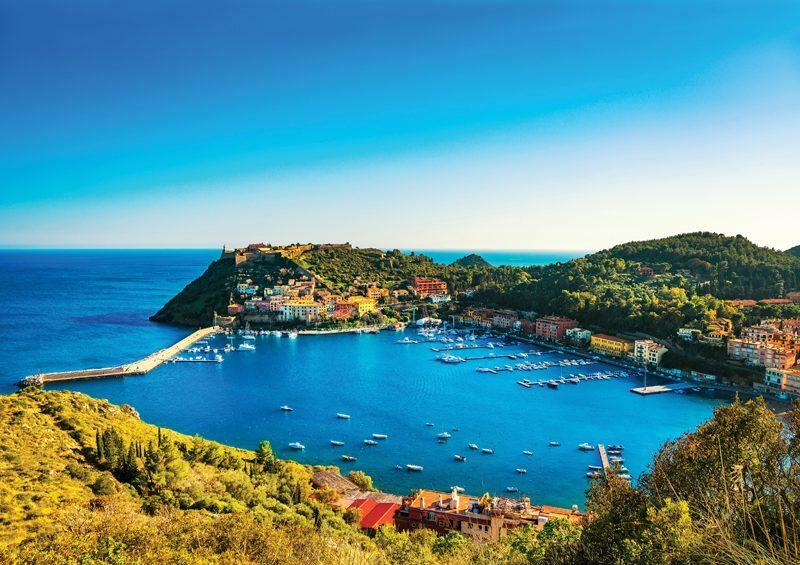 Every year, usually in early July, we go to Il Pellicano in Porto Ercole, Italy. The hotel is completely fabulous and chic. It’s old-school in the best sense of the expression. The food is fantastic. 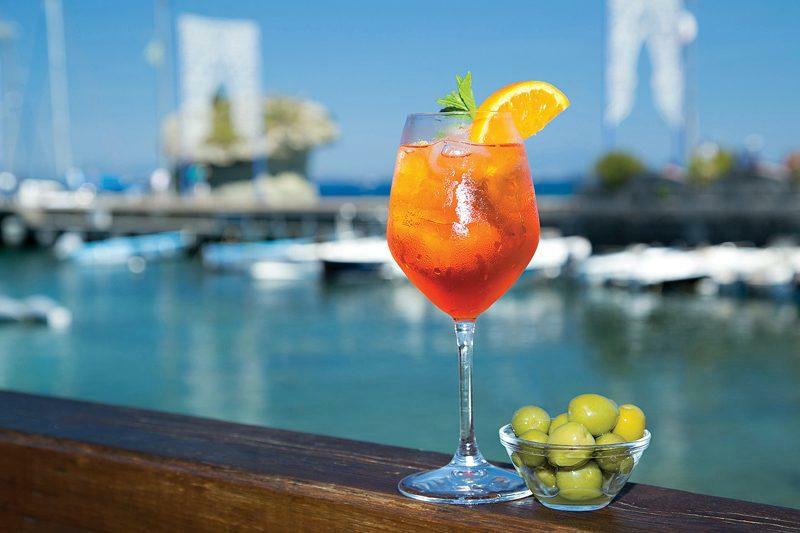 The idea of eating incredibly well, swimming all day, and reading with an Aperol Spritz is pretty amazing. What draws you to the Italian beaches? In college, I spent just over a semester living in Florence with an Italian family. I was an art history major, and I also studied Italian and French. I’ve always loved the language and been hugely interested in Italy’s culture, history, and people. I spent all my summers—and winters, for that matter—growing up near a beach, so I love the sea. 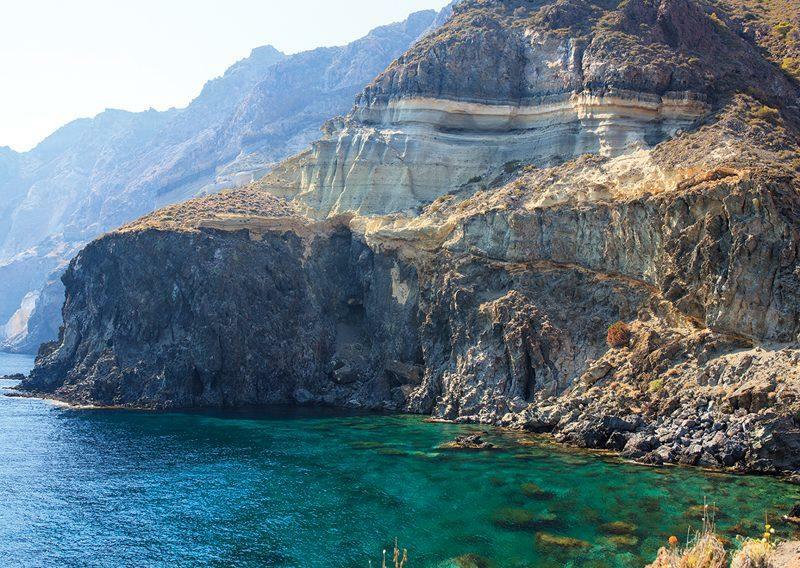 Just before I moved to England, I consulted my paper files of places I wanted to go to when I moved to Europe, and there was an article on the Aeolian Islands. I went to Panarea, and I had the best time of my life. So I went back and discovered Stromboli, Filicudi, and the other islands. Probably about eight years ago, we started going to Pantelleria. From a landscape perspective, it’s volcanic, so it’s quite rugged. There’s nothing fancy about it. It’s surrounded by sea, and it’s incredibly beautiful. Although it’s beloved by many Italians, it feels like it’s off the beaten path. A discovery that we made there early on is renting a small boat and cruising around the island. You can find hot springs in certain parts of the island. There are prehistoric ruins, there are some medieval tombs—it’s wonderful. What is your go-to cuisine? It absolutely varies. Tons and tons of fish and usually some sort of grilled orata. I always have calamari. How do you pack when you travel? I like to think that I pack really efficiently. Saying that, I consider it a success if I wear everything in my bag. I’m always mindful of where I’m headed. I’m a planner, so I’m not a last-minute packer. For example, when I go to Pantelleria, I pack all flats. I do get dressed for dinner, but nothing fancy. It’s a super casual island. I don’t like to be overdressed on vacation. I’m regularly adding to my holiday wardrobe, but then there are staples that always come with me on every trip. Ancient Greek Sandals, Lisa Marie Fernandez beach dresses and caftans, and Eres bikinis, which I wear in the same style in assorted colors. I always wear the Eres Show bandeau bikini from Les Essentiels collection. I’ll bring a Sophie Anderson bag or clutch and one of her floppy hats or a brightly colored Bottega Veneta clutch. 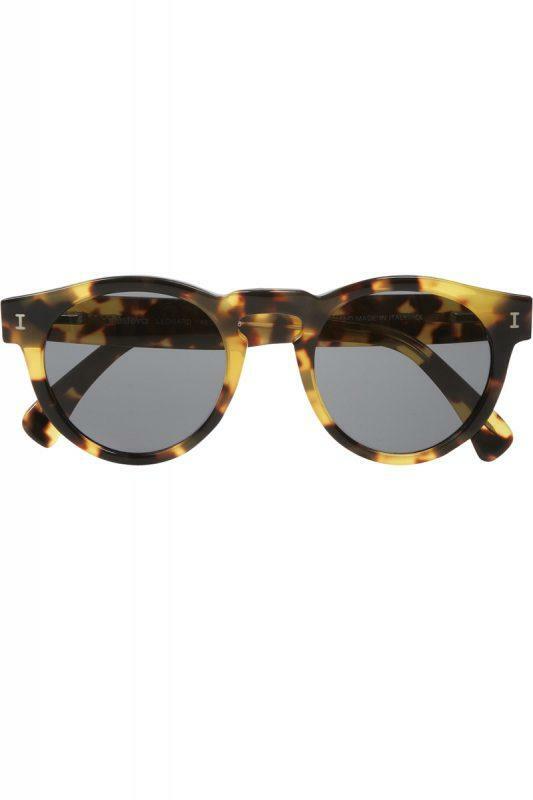 I also love Hampton Sun and the Sicily sun products, as well as sunglasses from The Row and Illesteva. Have you discovered any new destinations lately? The Seychelles, and I would go back tomorrow or the next day or the next day after that. We went to a hotel that just opened in October called Zil Pasyon. It’s run by Six Senses hotel group, and they have amazing properties. The island is called Félicité, and you feel like you’re in a tropical oasis. It’s hilly with palm trees and beautiful slabs of granite and beautiful sea with lots of tropical birds flying around. The hotel is comprised of individual villas. It’s an amazing combination of being relaxed and local, but also super luxurious. We had dinner under the stars! We also did a boat trip to several islands, including Curieuse, where I saw the most beautiful water I’ve ever seen, with giant tortoises roaming around. A Gentleman in Moscow, by Amor Towles, and the new Paul Auster book, 4321: A Novel. I also love Sarah Dunant’s historical fiction. People have been raving about Lincoln in the Bardo, by George Saunders. I’ve always got a list going. I toggle between physical copies and the Kindle. 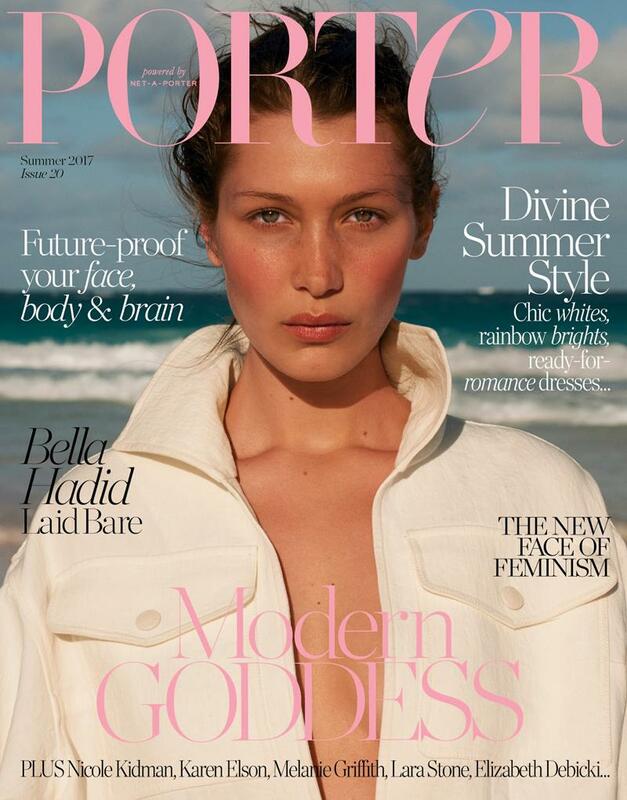 Of course, Porter magazine—that goes without saying, although I don’t wait for vacation. I read pretty much all the fashion glossies. But from an extracurricular standpoint, I read World of Interiors, Architectural Digest, Town & Country, Vanity Fair, Vogue, “How to Spend It,” and The Week. I would love to say that I read The New Yorker regularly. I subscribe, but I just wish I had more time to read it. What is on your wish list from Net-a-Porter for summer? How much time do you have? A number of Etro pieces, like great drawstring pajama pants and boho dresses, Valentino sandals, and an Isabel Marant jumpsuit, and some Pippa Holt caftans. But I spend quite a bit of time in the summer in New York City, so there are a few Prada and Gucci pieces as well. My home away from home in New York is The Lowell Hotel. I’ve been going there for years. What do you love about The Lowell? That’s where I spent my wedding night, and as a New Yorker, it was the first hotel I ever stayed in in New York. The staff is amazing, it’s run efficiently, and the service is great. I like that it’s discreet and tucked away, and it’s classic and borrows the best from the past while still maintaining its modernity. 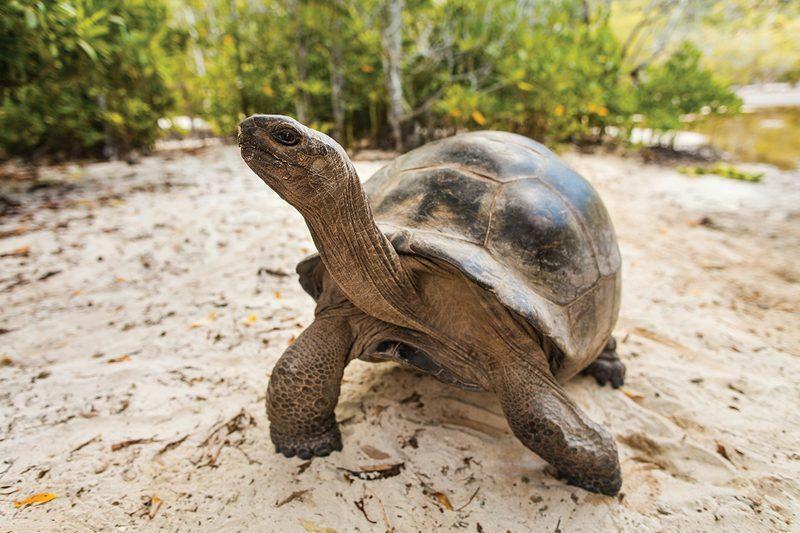 I would love to go to the Galapagos. You can do a water safari, which I would love to do. I would also love to go to Patagonia and do a huge tour of Japan, but on the immediately achievable part of my list I would love to go to the Hotel Esencia in Tulum, Mexico. I’m always thinking of new places!